You are cordially invited to the Danville Hall of Fame, induction Ceremony for Ronnie Belcher, Saturday, August 8, 2015, 3:00 p.m. in the Danville Museum auditorium. Ronnie Wayne Belcher was born in Ringgold, Virginia on August 7th, 1941 to Thomas Belcher and Ruby Woodall Belcher who lived at 333 Myrtle Ave of Danville. 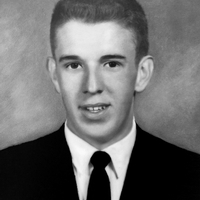 In high school, he moved to Alabama and enlisted in the Army in August of 1962. At the start of Belcher’s military career, he went through basic training and was selected in May of 1963 to join the White House Communications Agency serving the President’s and Vice President’s offices. Belcher served at Camp David and Homestead Air Force base where he ran the communications for the presidential retreat home on the base that was used by Nixon and offered to other high powered military officials. A key responsibility was to ensure the President and Vice President could always communicate with each other and the White House. He would travel in advance of the Chief of State to get and secure communications for our government and its officials to keep the leaders of our country in constant connect from 1963-1982. Belcher completed a 19 year career in the White House when most military personnel are rotated out every 6 years, a distinction held by only a few. He began his position with the Kennedy White House and retired with the Regan administration to enjoy civilian life again. He currently resides in California and returns to Danville for family reunions. The event, which includes a reception, is free and open to the public. Danville Museum of Fine Arts and History is located at 975 Main Street. Visit their website, www.danvillemuseum.org, or call (434) 793-5644 for more information.